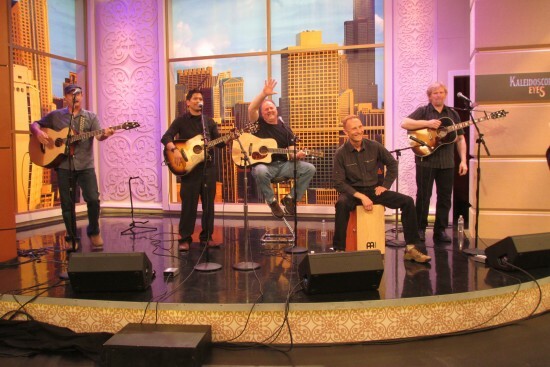 Kaleidoscope Eyes is Chicago's premiere Acoustic Beatles Tribute band. We pay homage to the greatest melodies and harmonies this world has ever known with exactly that...great melodies, harmonies and musicianship! We solemnly promise NOT to:1) fake any British/Liverpudlian accents, 2) "break for a costume change", and 3) use backing tracks or other crutches that "real musicians" are using these days. We will leave that for the other guys! Kaleidoscope Eyes played at Hometown Tapestry Coffee house in Franklin Park for a number of shows. Always professional, funny, spot on and blew the audience away. They love the music as much as Beatle fans. These guys just know how to make sure you have a great time. I have seen these guys a few times at local gigs and hired them for a summer party with 100 people. They made sure everyone had a great time no matter what their age was. They are a great group to hire. The most fun I've had with live music in years. 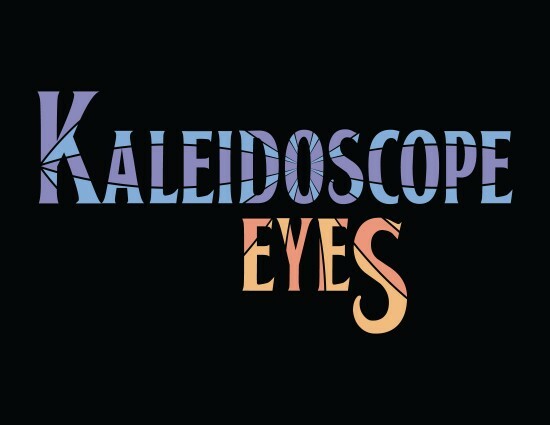 Kaleidoscope Eyes made the party a huge success. This was an afternoon event that supposed to end at 4:00, but because everyone was having so much fun, the party continued until after 6:00. They really played to the crowd and got everyone.. I mean everyone on their feet dancing and singing along. People are still taking about this 4 months later. They are talented, fun and great guys to work with!!! I have seen these guys several times and I recommend them to anyone, especially if you enjoy the Beatles. Celebrating Beatles music is a contagious thing. People sing and dance, twist and shout and cry for Help! If you don't want people to have an incredible time or sing at the top of their lungs or spend a lot of money having a great time... We highly recommend that you DO NOT hire us. We are huge Beatles fans who strive to capture the magic of the songwriting, harmonies and silliness of the Beatles. We love to celebrate the music and memories of the Beatles with a lotta help from our friends! There is no occasion too big or small. All we require is a celebration and people who want to have fun and enjoy. Past events have included bars, restaurants, anniversaries, weddings and birthday parties. For special celebrations: Beatles music is fun for all ages and family friendly. Weddings, school reunions, milestone birthdays and anniversaries, and corporate events are grand occasions. We offer suggestions on how to make the occasion an experience that people will keep talking about and treasure forever. For business owners, managers: We bring people, fun and good times. At the end of the day, isn't that the most important? Let's work together and discover ways for us to help grow your business! We are a perfect way to celebrate a grand opening, business anniversary, customer appreciation event in addition to Friday, Saturday or Sunday night. Remember, this is an acoustic band... so we are never too loud (no drums) nor do we attempt to be bigger than the brand you are cultivating for your business. Our goal is to enhance your brand and customer experience. Let us know your primary concerns and business objectives and we can tailor our show and atmosphere to suit your needs. Dare us to play them all... and we just might. Hmmm... is this a trick question? Because we are an acoustic act, we can play nearly anywhere and travel well! So... You bring the event and people, we'll bring the house down! 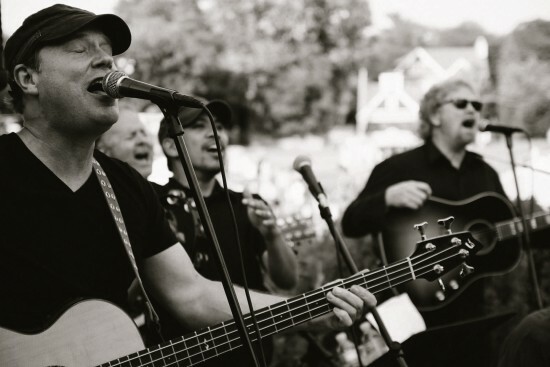 There's a reason why we are Chicago's Best and Most Fun Lovin' Acoustic Beatles Tribute Band!